Thanksgiving is over and it’s time to change out my printables. 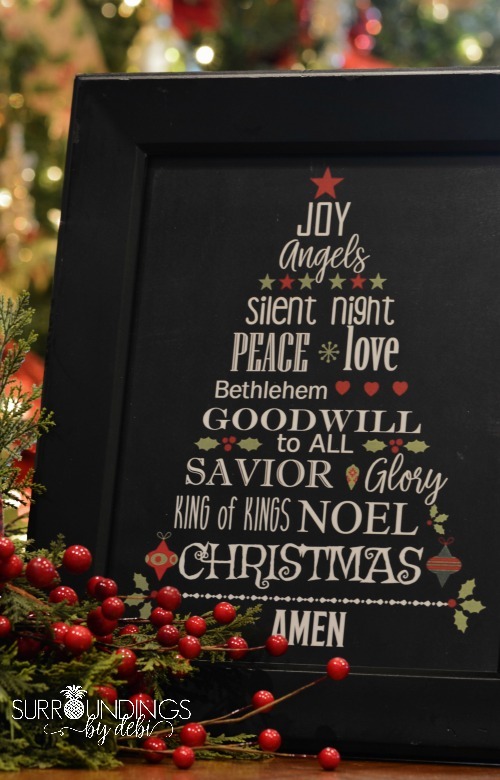 Printables are an easy and inexpensive way to add a bit of seasonal decor to any area of your home. And who doesn’t like that? Simply pop them into a frame (hello thrift shopping) and you are ready to go. And wouldn’t a Christmas Printable make a great gift? Just print out a printable, place it in a frame and walla! Instant affordable gifts!! 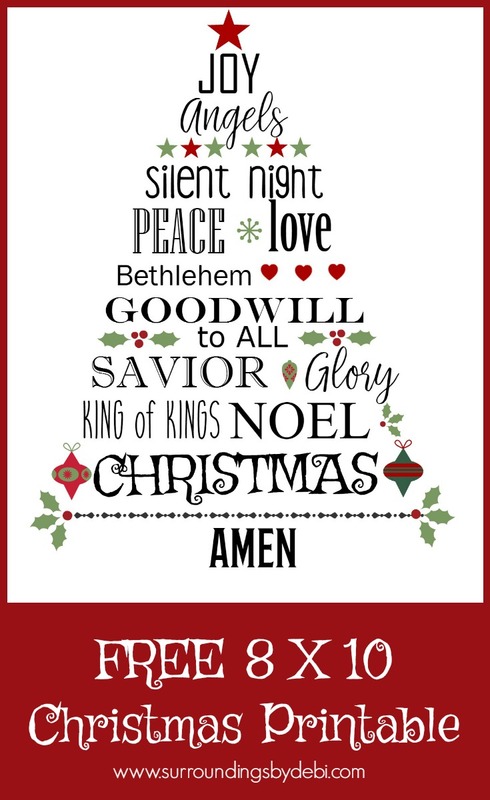 You can find printables everywhere but I really wanted one that spoke to the true meaning of Christmas and so I created my own. 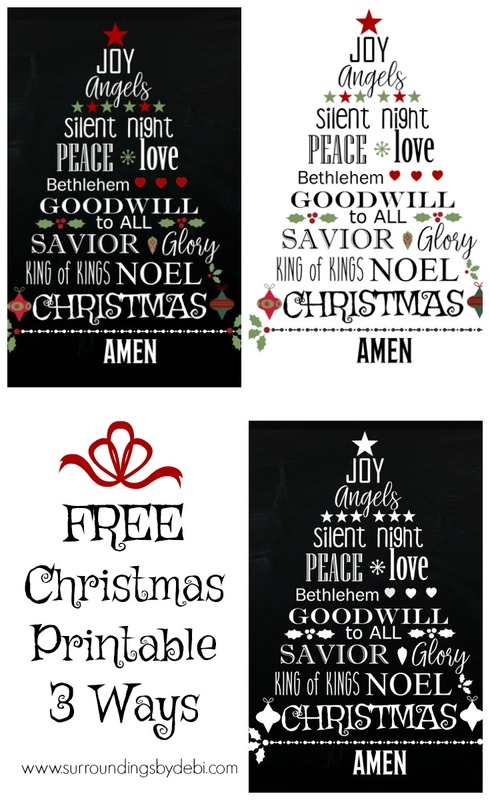 FREE CHRISTMAS PRINTABLE – 3 WAYS! And click HERE to download the white background version. Or click HERE to download the chalkboard version. 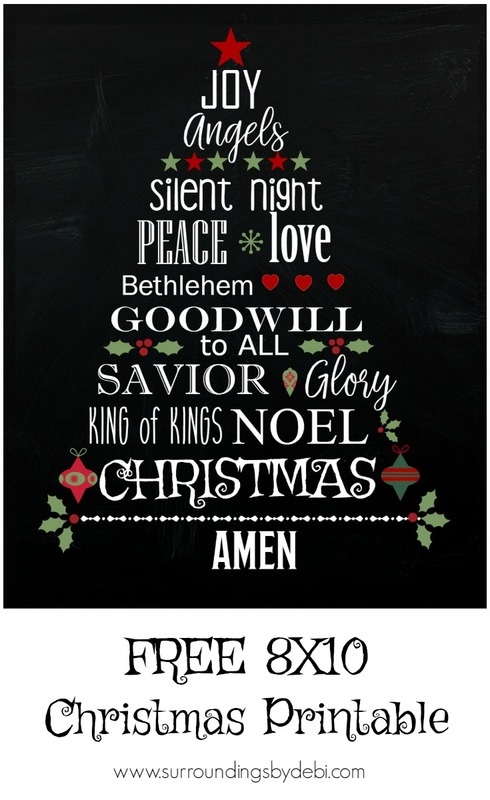 This Free Christmas Printable is sized to 8×10 inches, making it the perfect size to print on normal computer paper. Once you have it printed, just trim and fit into an 8×10 inch standard frame. You can right-click and save it to your computer as a smaller file, too, if you want to make them as gift tags or something special! Want something larger? This can easily be enlarged to fit an 11 x 14 or whatever size you needed. Print it out at home or take it to a printer for a larger size. All is ask is that you Please do not re-distribute or sell this image, as it is my own original work. 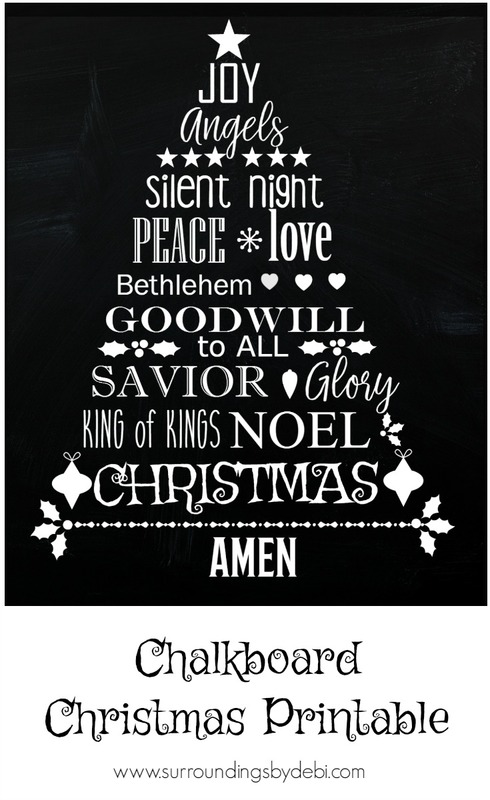 I hope you enjoyed this Christmas printable. I invite you to print it for yourself and save it to your Pinterest page by clicking on the images above or below. This is a great printable, Debi! You’re very kind to make it up in three different colorways and to size it perfectly for printing and fitting an 8×10 frame.